The vines are so close together that everything must be done by hand. Add to that the fact that the vineyard is organic and sustainable, and you have a very expensive project to deal with. But, that is the tradition here, and the quality of the product says there is no reason to change. 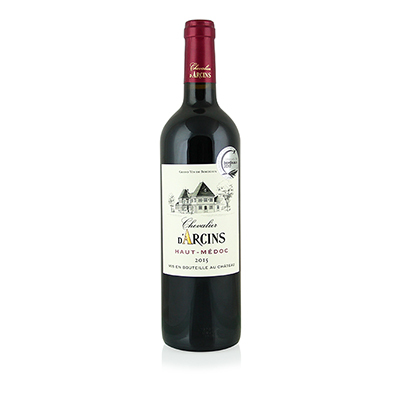 Like our Saint-Aubin selection, D'Arcins is also a Cru Bourgeois from the spectacular 2015 vintage and steps away from Chateau Cos d'Estournel. Great company indeed. Here is classic Bordeaux featuring an intensely dark color, which signals the dense nose of dark chocolate, licorice and black plums. Similar flavors shine on the palate, adding cherry and earth, and finish with thunderous applause.